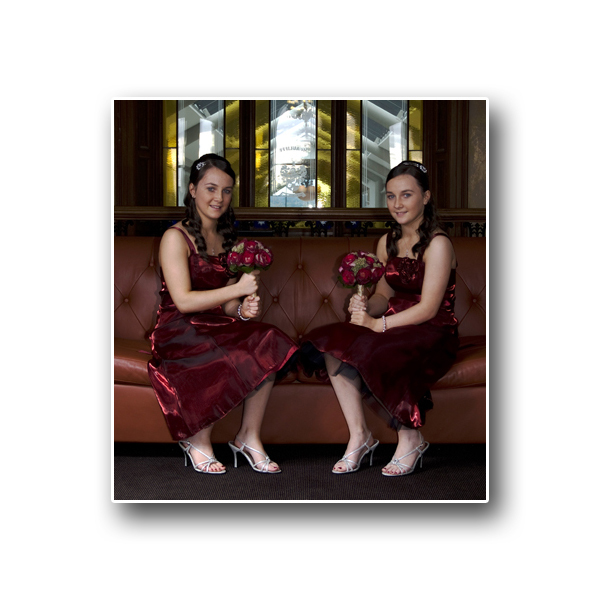 Twins Ciara and Rebecca at the lyrath hotel. 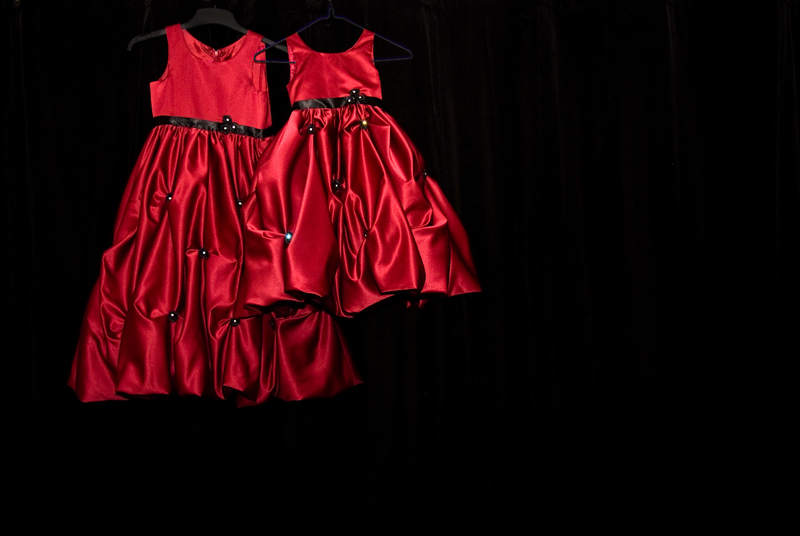 One of the weddings that the studio worked on recently contained a very different angle than we have ever work on before. 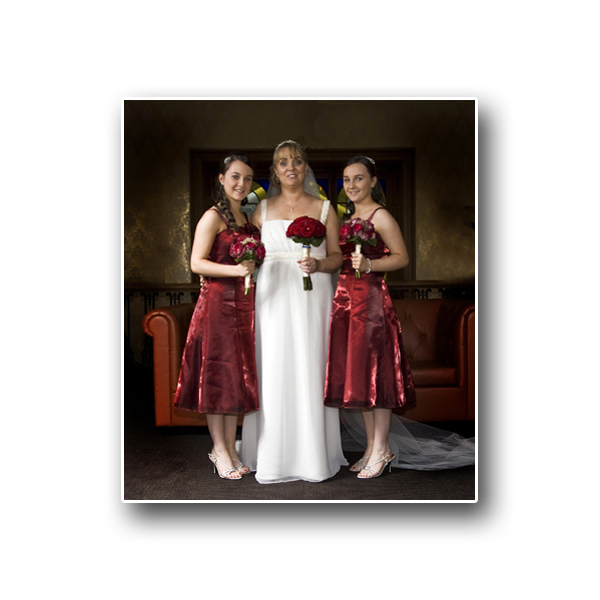 Identical twins Ciara and Rebeca Murphy were both the bridesmaids for Sandra Anderson. 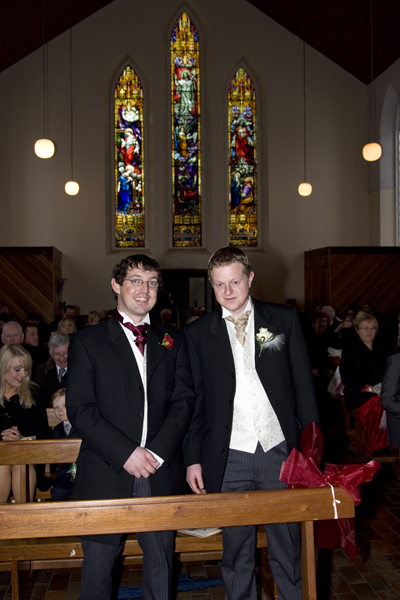 The Wedding ceremony was held at St mary’s, Sandyford, Co. Dubin with the reception being held at the Lyrath hotel, Co Kilkenny. 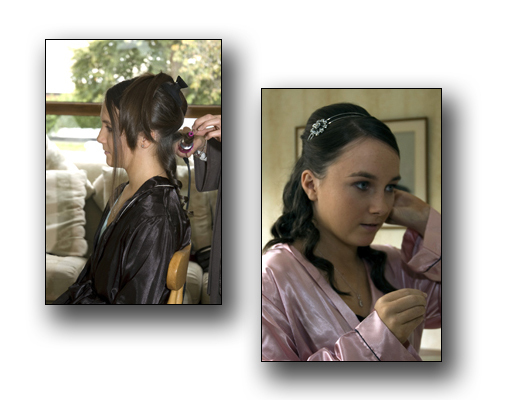 Apart from the usual problems of directing both the Girls by name they were in every way the perfect bridesmaids to Sandra. Both helped in every way possible during the day. A big thank you from Studio63 to both Ciara and Rebecca. Web site upgrade and development. The studio continues to develop and upgrade our web pages, you can now find full details of our Commercial, wedding and Portrait packages. 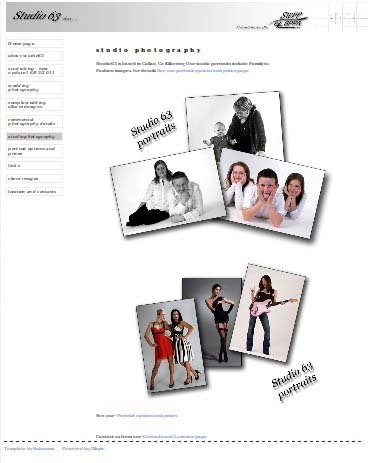 Studio63 is a Kilkenny photography company. We started trading at the end of 2008 and have worked for many local and national based customers. 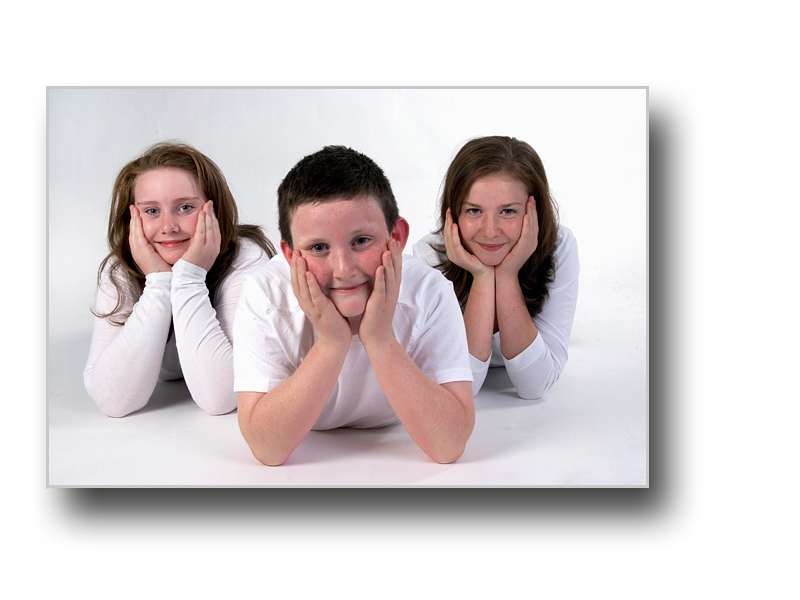 Studio63 has mainly worked in three key areas, these being commercial photography along with Portrait and Wedding photography. 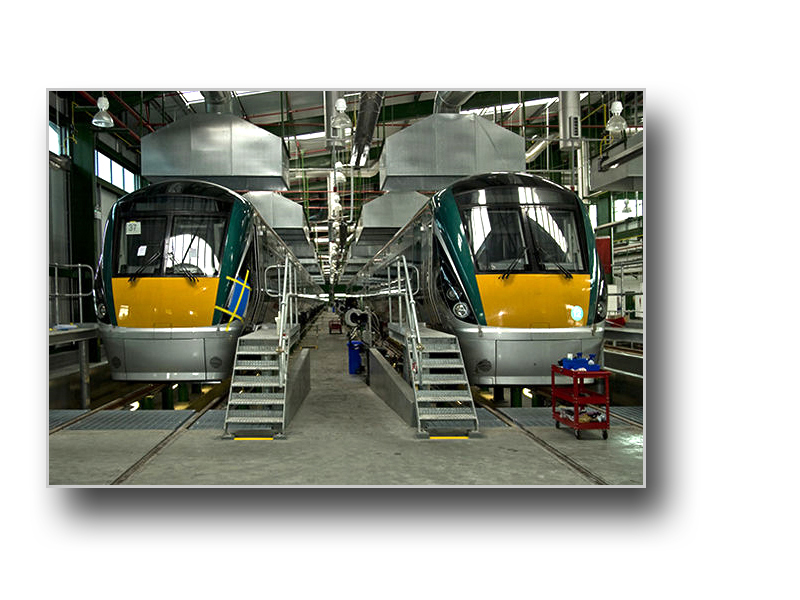 We work closely with our customers and endeavour to understand all their needs. 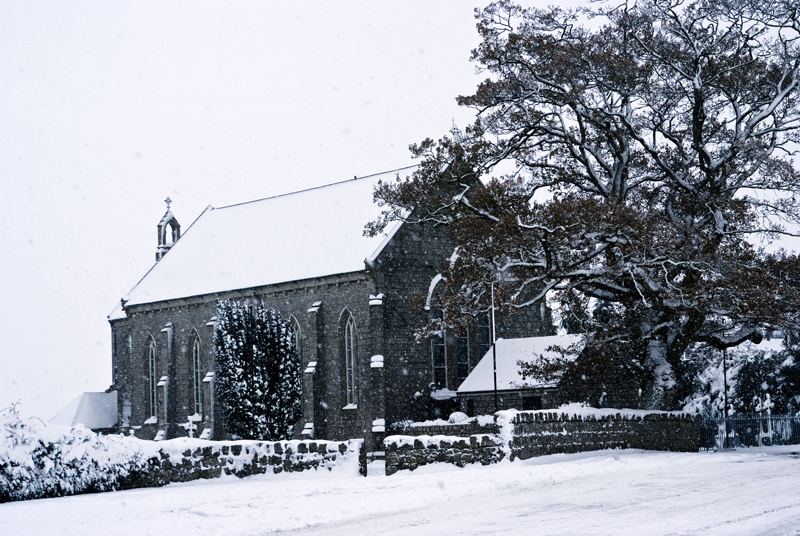 The last two winters in Ireland have seen the most seasonal weather we have experianced for many years, with snow and freezing conditions making an intense return. Most of November and December 2010 temperatures fell below zero even during the day time. 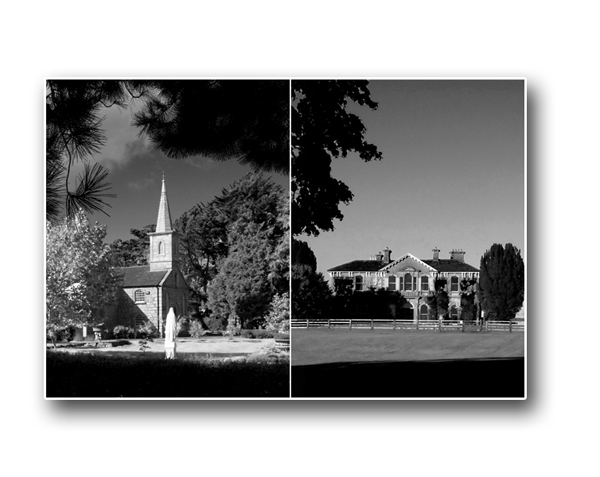 Studio63 had two wedding booked during this period, one of which was located at St Mary’s church,Bennekerry Co Carlow. 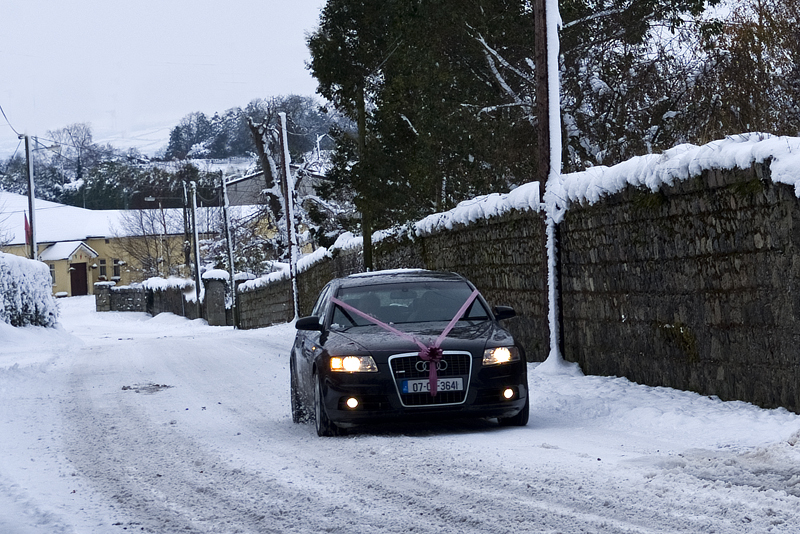 The weather conditions for the week before had seen some eight inches of snow in parts Co. Kilkenny and Carlow, I had worked with the couple for several weeks before the wedding on location selection and research. 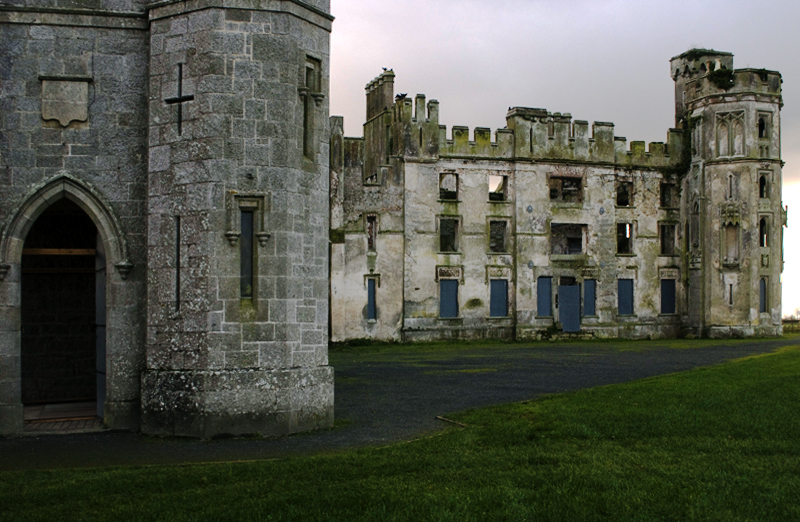 Clodagh and Robert had selected Duckets grove which is located about two miles north of the st mary’s church. 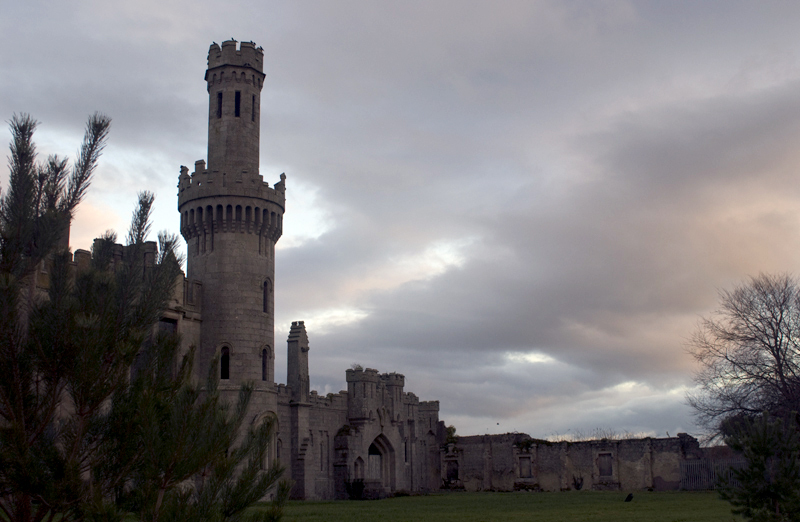 This is Duckets grove on the day that I did the first test shoot in September on location. As you can see from the images, I arrived later in the afternoon and just got some shots in before I lost any available light. 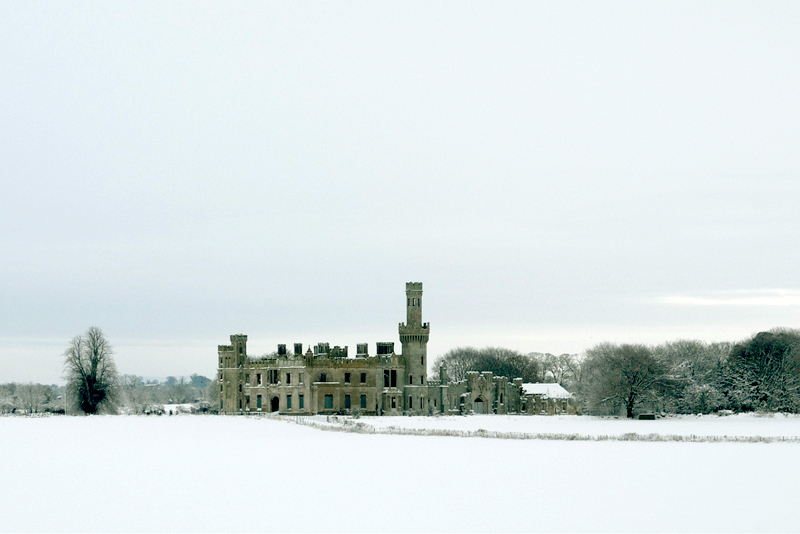 This is Duckets grove on the morning of the wedding day. 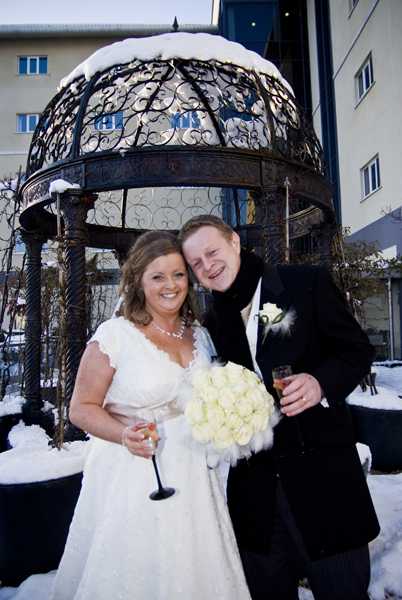 Myself and Sandy, Studio63’s assistant, drove through ice and snow and arrived 10 am on the morning of the wedding day. We had a feeling that Duckets grove would be a problem to access so we decided to check the conditions of this location first. As you can see the access road to the house and gardens was completely covered in some six inches of snow. 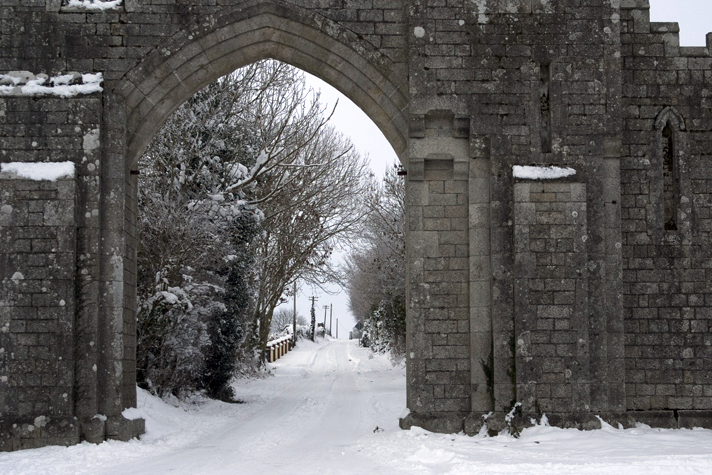 The road from the old gate house was also deep in snow and while we could drive some of the way into the estate we both felt that it would not be correct to bring the wedding party into the gardens and old house grounds. 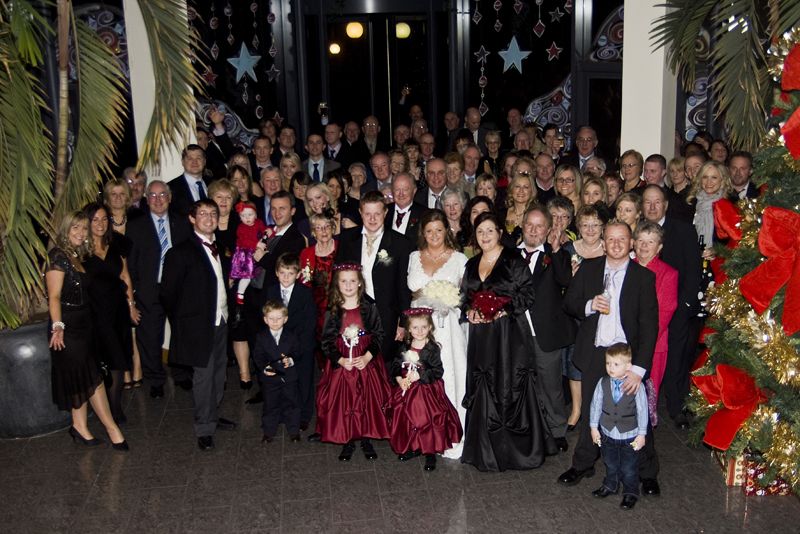 The Tower hotel in Carlow would have to be the main location for all the wedding party shots and the images of Clodagh and robert, this was our backup plan should the weather be a problem and as you can see from the below image it worked very well. 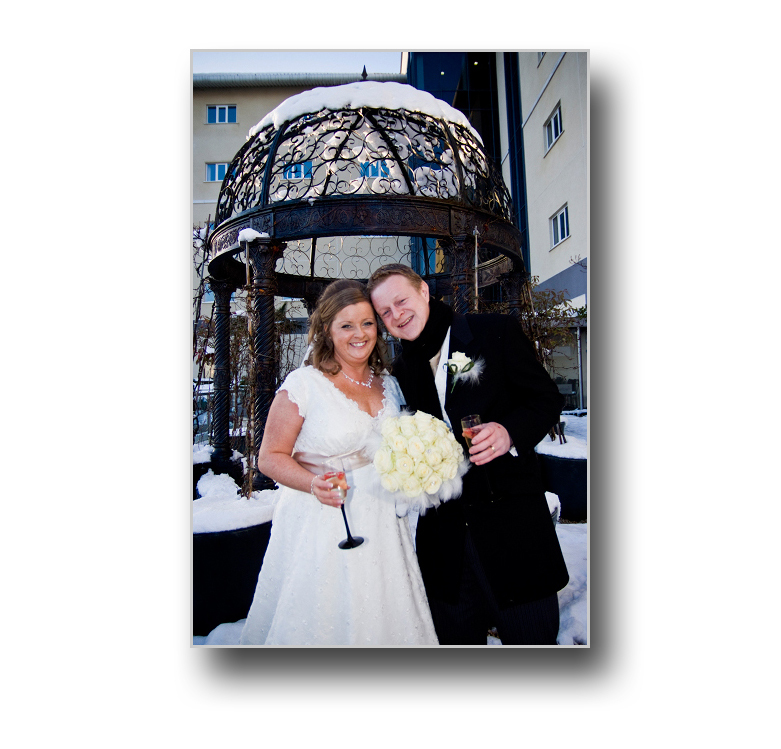 This image was printed in the Carlow people the week after the wedding. 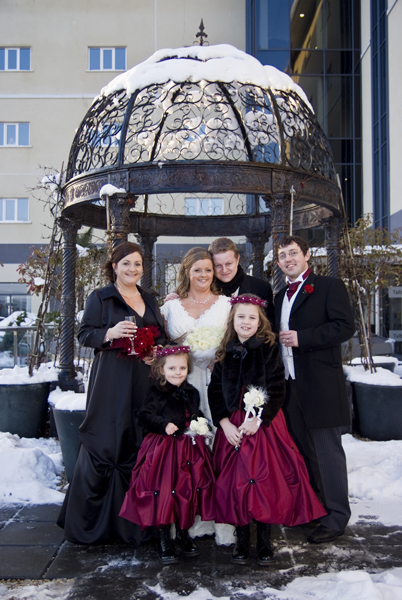 We soon moved to are first location of the day this being the bride’s maid and Clodaghs sisters home. 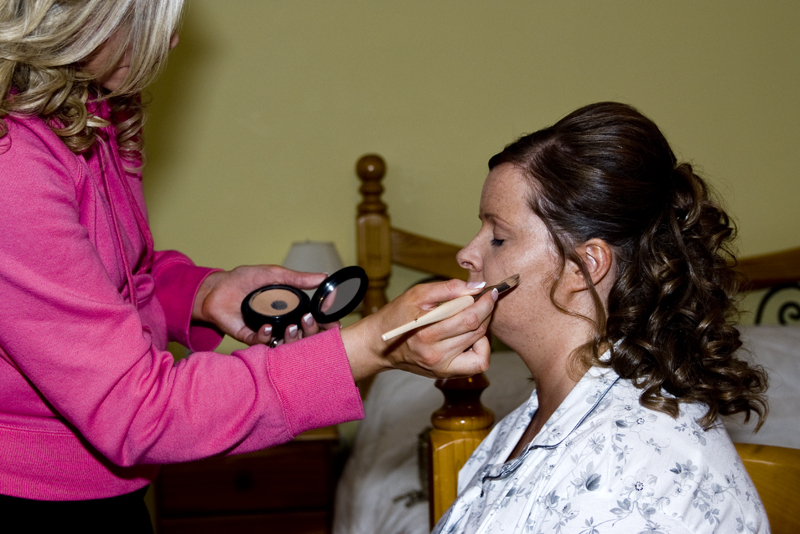 We worked with Clodagh and the brides party to produce images of all the flowers and clothes along with taking images of the make-up and hair preparation work. Once we had finished recording this stage of the day we moved location to St Marys and worked with Robert and his best man as they both arrived. 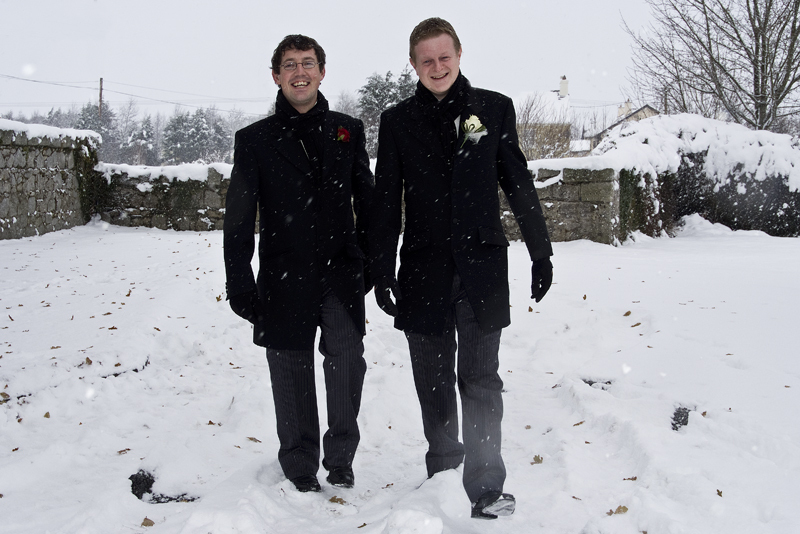 As we worked with the groom and best man all the guests began to arrive at the church and it became clear that along with the wedding party and ourselves, many people had driven through the snow to attend the wedding, thankfully all arrived safely . The bride was the next to arrive and being the usual 10 minutes late she arrived safely at the church. 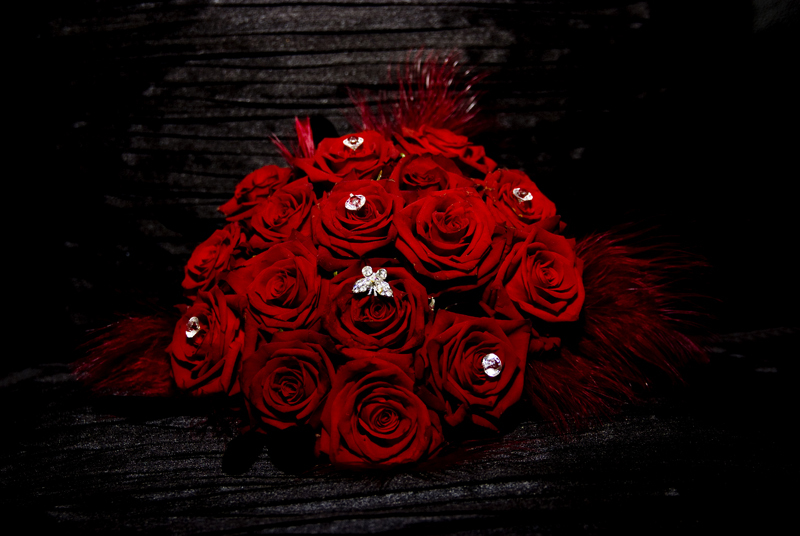 This was one of the best wedding we have worked on to date and the conditions only added to the images and the enjoyment we both had working for Clodagh and Robert. We would like to thank all involved on the day and thank everyone for the help they provided us in working to produce the wedding imagery.